Today we’re launching our first-ever HotPads quarterly rent report for Atlanta, featuring an in-depth look at the city’s median rent and new rental inventory over the past year. Our data shows that Atlanta rents are rising three times faster than the national median, even with a significant increase in the number of new rental listings. Atlanta’s median rent is $1,491, up 5 percent from a year ago. Annual rent appreciation in Atlanta has been between 4 percent and 7 percent since we started tracking the numbers in 2015, while national rent appreciation has stayed between 1 percent and 4 percent over the same period. For comparison, the median rent across the U.S. is $1,418, a 1.6 percent increase over the past year. In other words, Atlanta’s rents are escalating quickly. The median rent for a one-bedroom in Atlanta rose 4.9 percent over the past year, to a median of $1,440. In Pine Hills, median rent for a one-bedroom in the neighborhood is up 6.2 year-over year, to a monthly payment of $1,413. 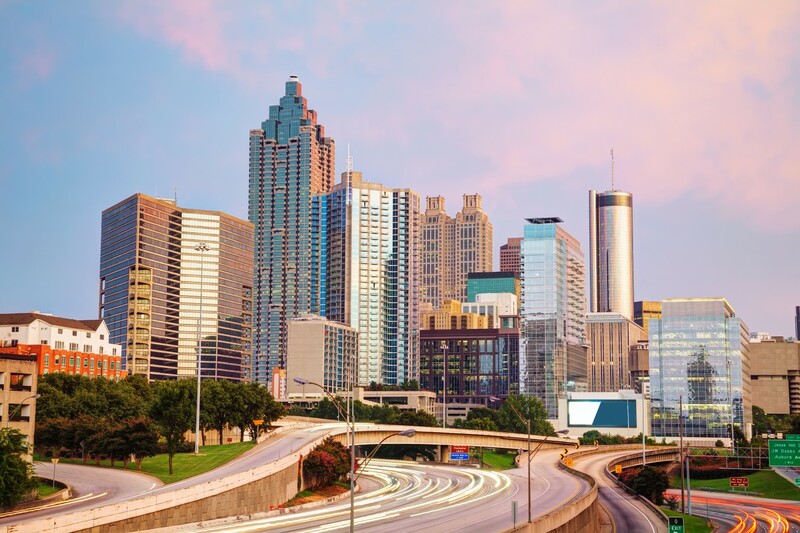 The good news is Atlanta renters have many new rental listings to choose from — the city saw 71 percent more newly-available rental listings come online over the past year. Renters in Midtown and North Buckhead really hit the jackpot, with each neighborhood reporting newly-available rental inventory increases over 150 percent year-over-year. While this is great news for renters who want to explore their options during the search, it also demonstrates the city’s high demand. Even with all of these new listings to choose from, rent is still rising throughout the city, meaning that all this new supply hasn’t balanced out the market just yet. Check out the stats for the city and several prominent neighborhoods below. The median rent in Midtown is $1,835, up 2.4 percent from a year ago. Median 1-bedroom rents are $1,612, up 1.5 percent year-over-year. Rental inventory in Midtown on HotPads is up 172.8 percent from a year ago. The median rent in North Buckhead is $2,428, up 1.7 percent from a year ago. Median 1-bedroom rents are $1,608, down 1.7 percent from a year ago. Rental inventory in North Buckhead on HotPads is up 153.2 percent from a year ago. The median rent in Pine Hills is $1,705, up 2.6 percent from a year ago. Median 1-bedroom rents are $1,413, up 6.2 percent from a year ago. Rental inventory in Pine Hills on HotPads is up 30.8 percent from a year ago. About this report: The HotPads Rent Report is a quarterly overview of the median rent and change in rental listing inventory within the city of Atlanta, as well as three of its neighborhoods: Midtown, North Buckhead and Pine Hills. New listings include all rental listings added to HotPads within the quarter, excluding properties listed for rent more than once in the last 90 days. Data are aggregated from rental listings on HotPads dating back to January 2014. The reports are compiled by the HotPads Economic Research team. HotPads tracks data for rental markets throughout the United States, but currently only produces reports for San Francisco, Chicago and Atlanta.